A 4-Week Calendar to guide you on which days to do the videos and what type of workouts to do on the alternate days. 3 Cardio Workout PDFs (with video demo links) to be used on Cardio Days (or you can continue your own cardio workouts). Individual Demonstration Video Clips of EVERY move in the program to help you break down each move & understand the form before you do the workout. (Great for beginners). FORM is KEY in strength training! By watching the form clips, we spend less time in the workout video talking and more time WORKING! Nutritional Challenge each week (participation optional, but great if you are looking for weight loss). This is NOT a nutritional program. But you might get some tips along the way! 1 Year Access to the Platform, Program and All Videos! Equipment Required: You need access to 2-3 sets of free-weights. It is ideal to have 3 sets of different free-weights so you can increase the amount of weight as you are ready. Easy to purchase at any sporting goods store or you can use the videos in your gym (on your tablet or phone if the internet connection/cellular connection is available). Start Date: ANYTIME ACCESS! Recommended to start on a Monday (with assessments the weekend before). This program is NOT appropriate for anyone with any injuries including back pain, neck pain, shoulder pain, knee pain OR if you are pregnant. 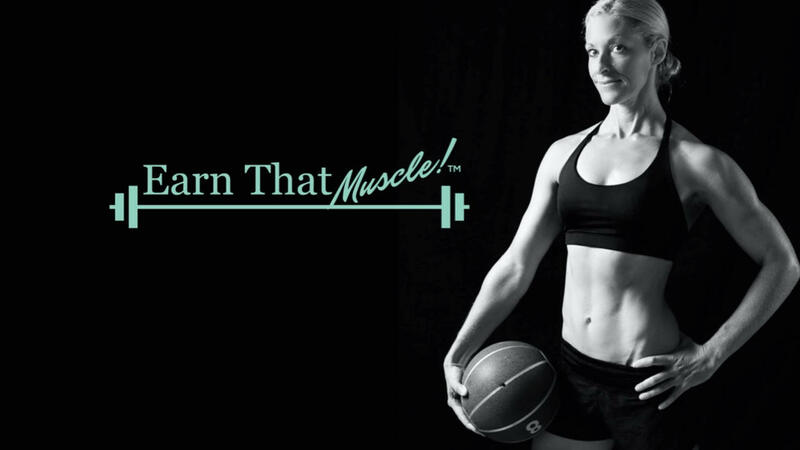 It can be a great program for a beginner to learn how to do strength training or for an advanced client to get ripped! All videos are available through the ONLINE platform only. You will need internet access/wifi (or cellular reception for phones) to watch the videos. The quality of the streaming video is dependent on the strength of your internet or cellular connection. This program DOES work on iPhones, tablets and desktops. **If your email provider blocks the weekly emails, we can't resolve that issue. You will have to work with your email provider or can give us a different email address. There are no refunds once you purchase this program. 4 Week Program: Includes ALL your workouts, calendar, videos and more!